IamJenniya: Face It: HAPPY VALENTINES DAY! Face It: HAPPY VALENTINES DAY! Valentine's Day is just an hours away. A lot of girls are getting ready on what make-up would they wear on their dates. 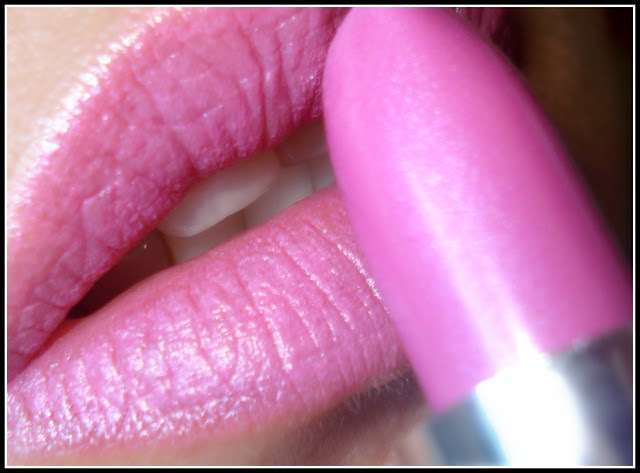 Pink is the popular shade that been used for a demure look. Honestly, I do not have any pink eye shadows or any eye shadow with a touch of pink because I do not like pinks on my eyes. I am not pro in applying make-up especially on pinks so I'm really afraid I would looked like I have irritated eyes or got hit in the eye on my date. Why don't I wear something with a touch of pink and purple on my lips instead? The "it" color this year is Violet and so, the mauve lipsticks are in. Mauve is defined as any various pale to moderate pinkish-purple or bluish-purple colour. WnW (Wet n Wild) Silk Finish in Retro Pink.